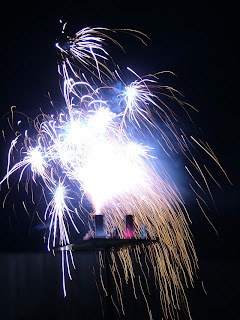 fireworks are legal in tassie! The three grannys from granville st decided to have an anti xmas in july party last night. Complete with our own freaks and fireworks. 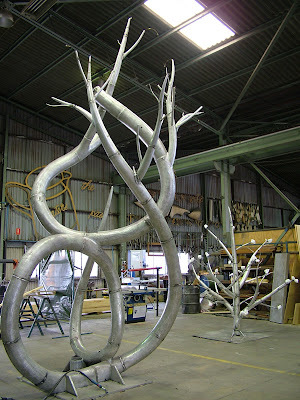 The xmas tree looking creation in the background will be welded ontop of the tree shown on the left of the picture. Thanks must go to Franko, Jurko and UAP for their continued support and skill in getting the sculpture this far! Entitled 'when two become one', these rings were inspired by the story of Renee and Kriss' long friendship and when they decided to stand in front of all their friends and family and become one. The rings were cast in 18ct white gold from a willow branch collected in Launceston. From 25-28 June, i went for a 4 day bike/hike around Maria Island. Now a national park, this stunning landscape was previously a cement works, gaol, whaling station, farming land and a penitentiary in the 1830s. 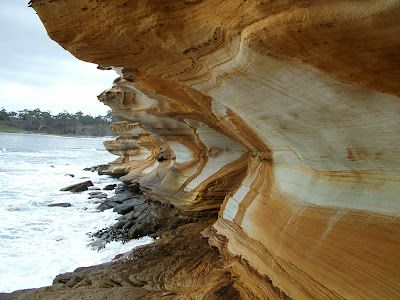 On the last day, at low tide, we climbed down to the painted cliffs to see this marvel. just BEAUTIFUL!